"Goodbye to all of you," is what the staff of low-cost airline Primera Air put on their website as the airline crashed and suspended operations on Sunday night and filed for bankruptcy today. In the message posted on the site, it told how the airline had stopped flying and thanked passengers for their loyalty but lacked any detail to help the thousands of stranded passengers or give details of how people with future bookings could claim refunds. The Danish company with Icelandic owners started operations in 2003 as a charter airline and had grown rapidly in the last few years expanding into low-cost trans-Atlantic scheduled flights. The airline had started many routes to the USA from various European countries including the UK, often advertising incredibly low fares. 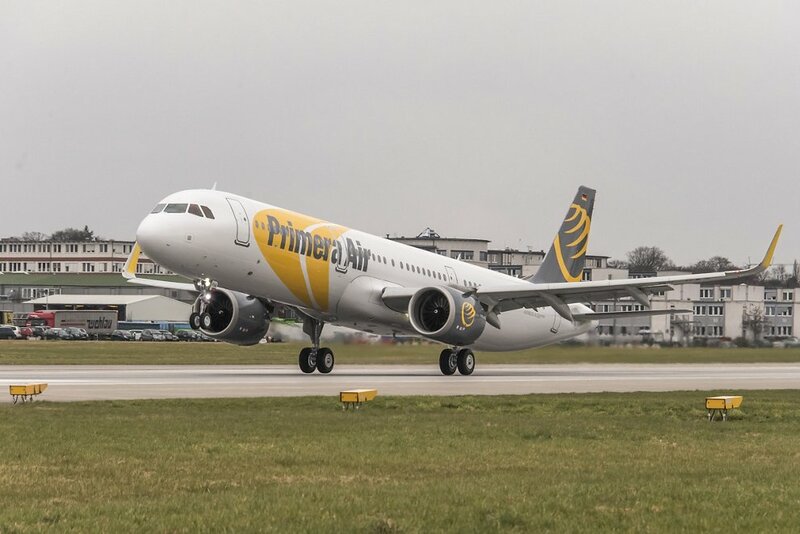 London’s Stansted Airport has asked passengers with tickets for Primera Air, not to come to the airport, as the tickets are not being honoured or accepted by other airlines. "We have learned this afternoon that Primera Air has ceased all flight operations and will go into administration at midnight tonight. Passengers due to travel with Primera Air are advised not to travel to the airport and instead contact the airline directly. Thank you." the airport said in a statement. The airport has also impounded one of the Primera's aircraft for unpaid fees. In an email sent to the airline's staff and shared on social media, from the airlines head of flight operations, blames aircraft corrosion, the late arrival of new aircraft from Airbus and high fuel prices for the company's demise. I have just received this sad email from an employee at Primera Air who are based at Stansted Airport. 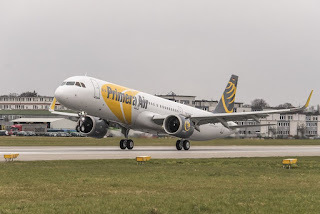 Primera Air had made vast aircraft orders for new types from both Boeing and Airbus, it was one of the launch customer for the A321LR from the European manufacturer. The carrier took delivery of its first A321neo in April on lease from GECAS. "The company came forward with a blaze of publicity and its business model seemed interesting, offering trans-Atlantic flights on long-range narrow-body aircraft from secondary and regional airports." Our chief aviation correspondent Jason Shaw said, "it seemed to be working for a while, but the late arrival of new aircraft caused the airline to have to wet-lease some aircraft to operate some routes. Because the margins were so thin on normal operates, this seems to have knelt a fatal blow for Primera. Although, for some time they seemed to be having a hard time on filling flights, seems like on a weekly basis we were getting emails detailing even lower prices on trans-Atlantic flights, where margins were so thin already.". The airline had been increasingly getting band reviews from passengers in recent weeks, many citing long delays, poor service and delays in getting refunds from the company. Long-haul airline Norwegian is stepping up and offering passengers booked with Primera Air on some routes, special discounted repatriation fares, offered at a vast 50% reduction on standard net economy fares.